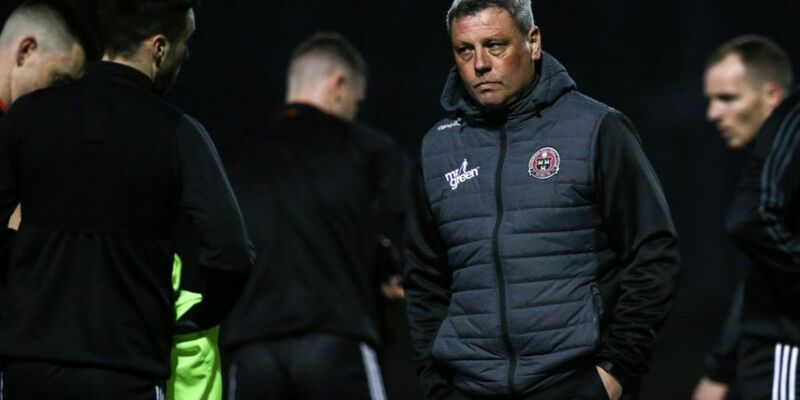 Champions Dundalk will be eager to avoid a third successive defeat when they entertain Bohemians in the SSE Airtricity League Premier Division tonight. The Lilywhites return to Oriel Park after losing at Sligo Rovers and St Patrick’s Athletic. The back to back defeats have dropped Dundalk to fourth place, 13 points adrift of leaders Shamrock Rovers, although they do have two games in hand. Victory will cement Bohs position in second place. They head into the game on the back of wins at Sligo and Finn Harps. They have earned 20 points from their opening nine games, their best start to a league campaign since winning the title in 2009. Third and fifth go head to head at Richmond Park with Derry City the visitors to St Patrick’s Athletic. The Candystripes are back in Dublin looking for their second win in the capital in a week. They beat UCD 2-0 on Friday. Pats had a late equaliser to thank for a 1-1 draw with Cork City at Turners Cross on Friday. Dean Clarke came off the bench to hit the back of the net in the 90th minute. Cork City boss John Caulfield admits his side are struggling for confidence as they prepare to face UCD in Belfield. With just three wins and four defeats from their opening nine games, Cork are languishing in sixth place 17 points behind the league leaders, although they have played two less matches. It is a chance for UCD to beat Cork for the first time since 2013. Just goal difference separates Sligo Rovers and Waterford heading into their game at the Showgrounds. Both sides are hovering over the relegation zone on 10 points, but they could climb up to fifth if they were to win tonight, and results go their way elsewhere. All of the games kick off at 7.45.